a receiver that displays glucose levels with continual updates, as well as monitoring rising and falling trends, the receiver is integrated in compatible pumps or a separate device. Other examples of a receiver could be a compatible mobile phone, computer, or pump, depending on your system. Continuous glucose monitors measure the glucose level of interstitial fluid as opposed to blood when doing a finger prick test. Interstitial fluid is a fluid just under the skin. CGM does NOT completely replace the finger pricks but it can help reduce them. Finger pricks are no longer required for the Dexcom G6, however they are still required for driving at present. There are various different systems on the market, below shows what is available in the UK. At first continuous glucose monitoring may sound complicated, but do some research and join groups to learn from personal experiences to help you make an informed choice. Currently, there are only 5 CGM systems available in the UK and 1 other system, The Freestyle Libre, which although is not technically a CGM it has great advantages over basic testing with a blood glucose meter only. Many other types of systems are in development and I am sure you will see other options in the near furture. Medtronic Enlite – This is a system integrated with either the MiniMed 640G insulin pump. The 640G system is the most advanced system available anywhere. When used in conjunction with CGM there is SmartGuard technology, which can suspend insulin when hypoglycemia is predicted. The Abbott Freestyle Libre is a unique and different system, it cannot be integrated with any pump. The system consists of a reader and a disposable sensor (lasts up to 14 days) You scan the sensor to see your reading and trends on the handset. It does not have alarms or low suspend, however data can be downloaded to your computer. The handset holds up to 8 hours of data, so needs to be scanned at least every 8 hours to avoid gaps in the data. The FreeStyle Libre is now available on the NHS to those meeting local criteria and subject to budgets. There are now apps available (Glimp) allowing you to use a compatible phone in place of the handset cutting down on initial costs. *** As prices can change without notice please always confirm costs the distributor or manufacturer. More information on the apps and how to set them up can be found on Facebook and blogs. Look out for new and exciting advances in technology soon…. Senseonics implantable 90-day CGM Eversense, which will be distributed by Roche in Germany, Italy, and the Netherlands, is now in the UK, but not Scotland yet. 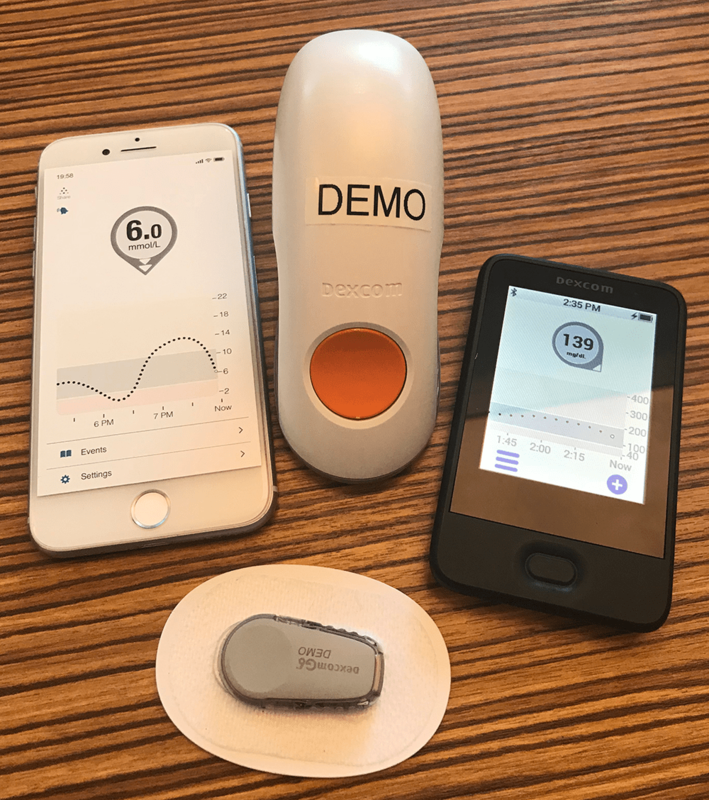 Dexcom have a new sensor on its way – G6, which is 30% smaller than the current transmitter! VAT Exemption Notes – As a person with Type 1 Diabetes you are considered to be ‘chronically sick or disabled’ and this enables you to VAT exemption on certain supplies for your disability. You should complete a declaration if you are ‘chronically sick or disabled’ and the goods or services are for your own personal or domestic use. A family member or carer can complete this on your behalf if you wish. You can find out more from the Helpsheets on the GOV.UK website or by telephoning the VAT Disabled Reliefs Helpline on Telephone: 0300 123 1073. HMRC staff cannot advise whether or not an individual is chronically sick or disabled. with a condition which the medical profession treats as a chronic sickness It does not include an elderly person who is not disabled or chronically sick or any person who is only temporarily disabled or incapacitated, such as with a broken limb. If you are unsure, you should seek guidance from your GP or other medical professional.